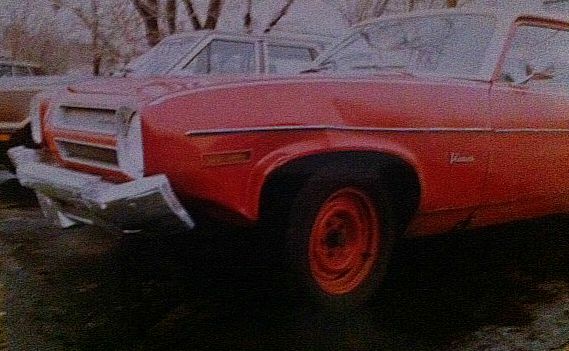 The cheapest car I ever bought was this very used 1973 Pontiac Ventura, that was as red as a tomato with a white top. It wasn’t a vinyl top, but rather a glossy painted white roof. This was a stripper of a model that featured vinyl seats and a vinyl floor. No carpeting, but that option delete made by the original owner during the Watergate years came in mighty handy for me. Read on. I bought the Ventura when I was college in the 1980s for $350 and it had well over 100,000 miles. There was some rot and rust, but nothing I couldn’t fix with some Bondo. I patched a few holes, painted over the filler, added pinstripes, and a cassette player and I had the perfect campus cruiser. 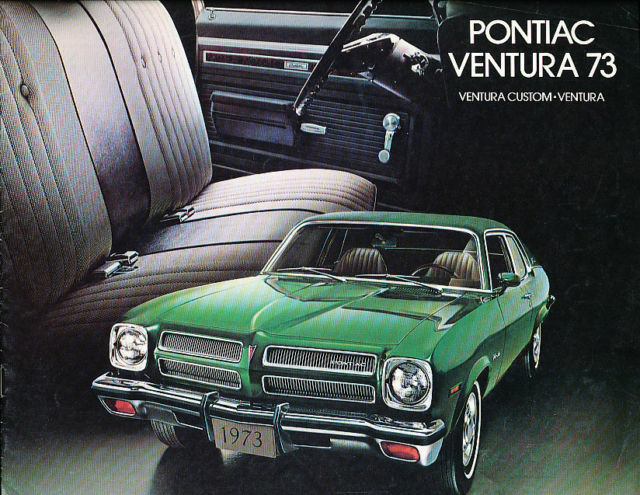 The Pontiac Ventura was fairly rare in its day. 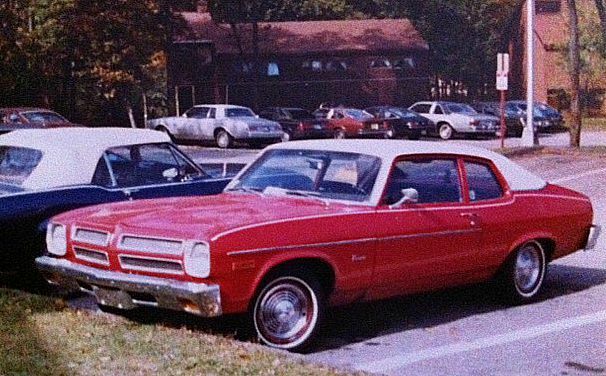 Even though it was a rebadged Chevrolet Nova, which also spawned the Buick Apollo and Oldsmbobile Omega, you didn’t see too many of them on the road. Mine was unique and that’s what I loved it. It went on to have quite a history. It began when I had a carload of college friends and we were heading back to campus after a night out. A friend in the backseat apparently had too much to drink and threw up onto a girl’s lap and because there were four people in that second row, she had little space to avoid what had to be one of the grossest things to ever happen to her. He was seated directly behind me and then proceeded to hurl again, only this time he tried to cover his mouth to protect the vomit-drenched babe to his right. Instead he created a fountain of spew, and his regurgitated Pabst Blue Ribbon-soaked chunks ended up on the back of my head, neck and shoulders. I’ll never forget it, even the Barracuda jacket I was wearing. The stench was overpowering, and we rolled down the windows in freezing weather. The next day my buddy’s task was to clean out the Ventura, a task made much easier due to the lack of carpeting. That spartan interior option made cleanup a breeze, although “Chunks” may not have seen it that way. Not long after, my brother took the car out when I was home for Christmas break and returned it with a giant dent in the front fender and a missing hubcap. The story was he was doing wheelies in a parking lot after a snow storm and learned the hard way there are often large stationary objects buried in snow banks. When I returned to college, the Ventura was renamed the Dentura, for its giant blemish and a variation of my name. A few more dents were added over the next two years, and after being a great mode of transportation for my sophomore and junior years, the Dentura went to the junkyard.